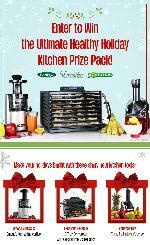 Prize: Omega Juicer; 9-tray Excalibur dehydrator; Yonanas Elite ice cream maker ($879). Statistics: This contest was opened by 170 and entered by 34 ContestChest.com members. 20% of those who opened the contest, entered it.